It is hard to believe the end of the season on the French Alps is fast approaching which means for those of us who has not been skiing or snowboarding yet this season, we need to get a move on and book our ski holiday. For those of us who yearn for a last minute extra thrill on the slopes before the season ends here are the latest end of season ski dates. Don’t forget that if you are late booking please check at your chosen ski resort to see what facilities are available. It is possible that some ski lifts could be closed and if the ski resort has not released its closing dates (last years closing dates are shown above) please check with them before booking. The weather has recently changed from wintry and chilly to fairly mild with beautiful clear skies and the conditions on the piste are said to be excellent. Snow and rain is expected across the Italian Alps over the next few days where as tomorrow the French resorts are expected to see rain below 2000m then towards the end of the week the temperatures will drop with clear skies. Warm air will once again return with the freezing point rising above 3000m during the day. The warmest weekend for 2018 is expected on both the 7th and 8th April. Families can head out to Gressoney in the Monterosa ski area for 1 weeks holiday staying in a chalet departing on the 7th April for 2 adults and 2 children (aged 2-10 years) with a saving of £1540. 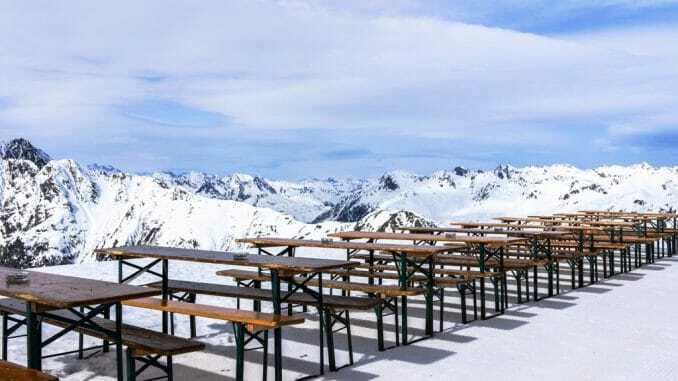 If you can fly from Gatwick on the 7th April for 1 week you can holiday in St Anton with a saving of £520pp it’s a hot deal. How about a ski-in ski-out residence? It’s an apartment sleeping 6 people with access to an indoor heated swimming pool, sauna and steam room in Les Menuires leaving 7th April with a saving of £352. Departing 8th April for 1 week, fancy a little boutique chalet in St Martin de Belleville? A catered service is provided including treats (sounds lovely) with a saving of £255pp. 1 weeks stay is on offer departing on the 8th April to lovely Meribel with a huge saving of £776 and to entice you there is a terrace Jacuzzi for your enjoyment. Wonderful Val d’Isère awaits you if you have 1 week you can spare departing 15th April, the 8 person chalet offers catering service (included in the price) and an outdoor hot tub. If you can escape to the cool crisp slopes before the ski season ends in the French Alps then take advantage of the latest ski deals! Treat yourself- you know you want too! 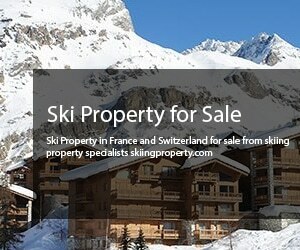 Should I buy my own ski property?